You’ll need to go to the Android Market and download the app. It’s free! There are lots of font packs in the Market, but most of them are not free. 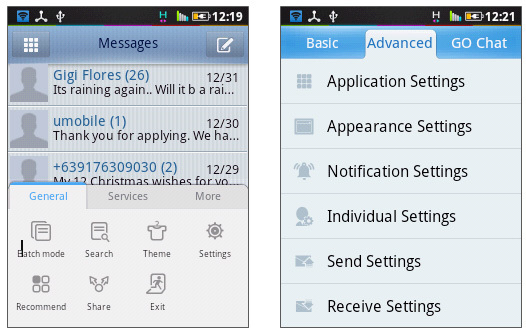 However, one that is free and have quite a lot of fonts is the app called Font SMS (Pro). Download it, but don’t open the app itself. 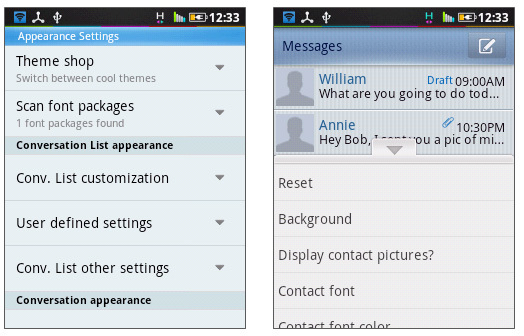 The Conversation List is a list of all your messages, sorted by sender. It usually contains the sender’s name, time and date sent, and the first line of the message. Open GoSMS Pro and go to Menu>Settings>Appearance Settings. Make sure you tap on the Advanced tab on top of the screen. Go to Appearance Settings>Scan font packages. The phone will do a quick scan for newly installed font packages. It should say “1 font package found”. 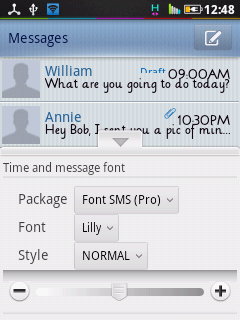 Remember that you need to have Font SMS Pro installed at this point. Once that’s done, you should be back on the previous menu screen. Choose the font you want to change – contact or time and message. 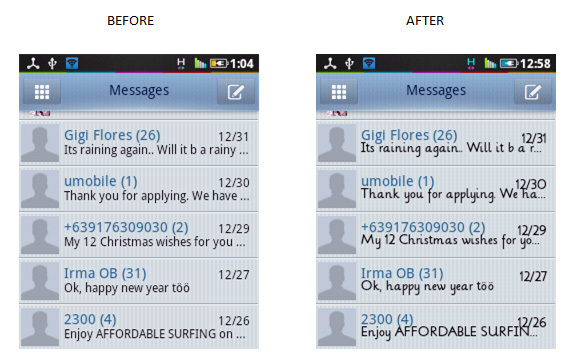 In the example below, we are changing the Time and message font. Beside Package, tap on the dropdown list. You should see Font SMS Pro from the list, tap on it. You may now choose from the list beside Font. You can also change font style (normal, bold, italic) beside Style. Tap on the – and + buttons to adjust font size. Your changes will be shown real time on the sample screen above. When you’re happy with your fonts, just press the back button on your phone. 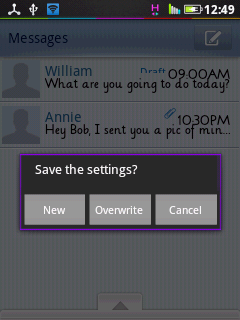 It should give you an option to save or overwrite an existing setting. It’s recommended to choose New at this point and give the font makeover a simple name. And just like that, you get a whole new look for your messages! See the difference? Now that’s a fun way to read and reply to your messages. 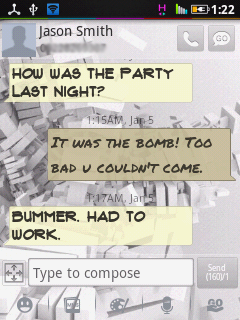 Text messaging shouldn’t be a routine and boring experience. Give it a try and get creative with your fonts, it just might be the makeover your phone needs!